Well done, sir. A great and useful tip that can be applied to many similar situations. This is really helpful! Thanks for taking the time to put this down as a reference for others. Terrific! 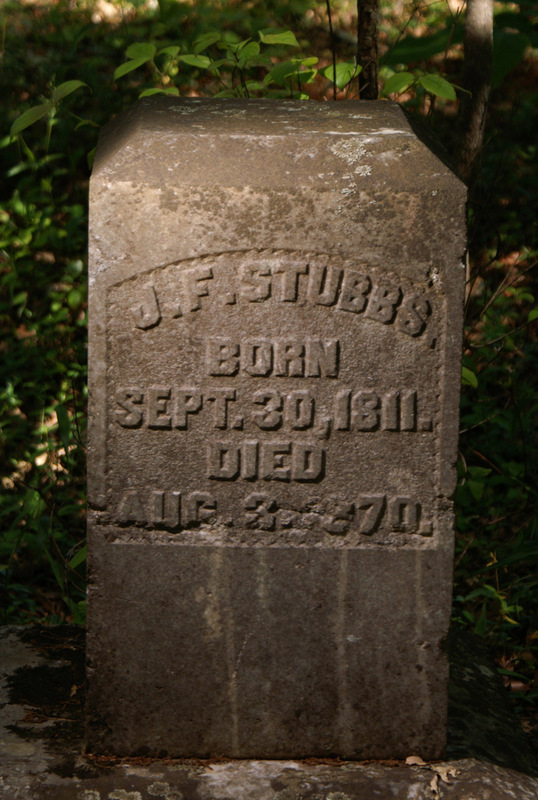 I so wish I could ask folks to go back and photograph some of the stones of my family. My number one rule: Sun to the back of you if your not really experienced. (early am or late afternoon depending on which way the stone faces unless flat. I usually (not always) send the photos via email to the family so they can choose which one they want up. Its important to them. You can indeed (re)request grave photos on findagrave.com. Photo volunteers are standing by! You can leave special instructions, if needed. 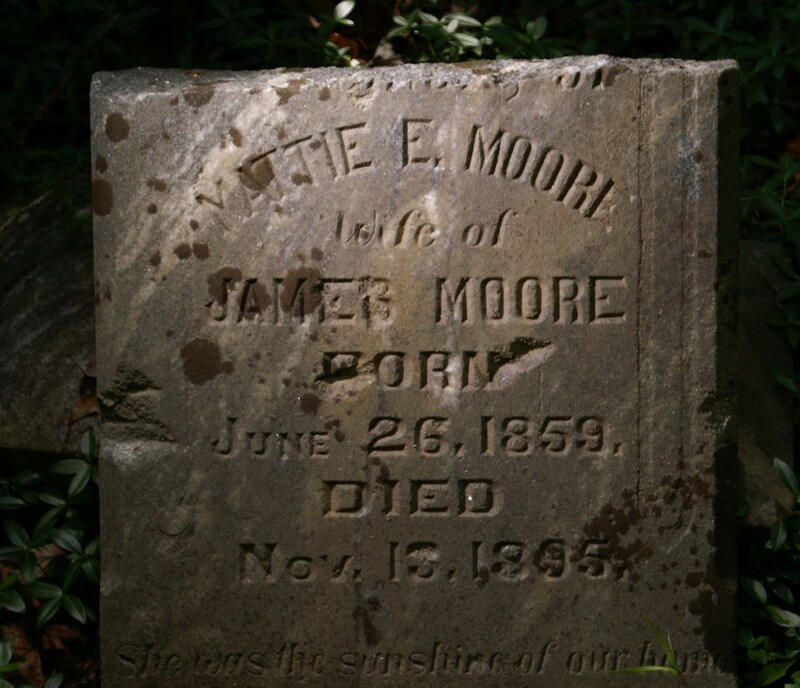 Volunteer response is usually quick near large cities, but it might be very slow at rural cemeteries. I ran across your link on Ancestry after I left a somewhat caustic message about some egregious errors in one tree for Sarah Coffee Bleckley and one of her kids. This woman had Lela Margaret Bleckley Earls getting married at age 5 in New Jersey. Well, there were lots of mistakes including listing maiden names as surnames and while I didn’t correct everything, I slipped in a few. Now, I feel guilty for being so mean, but people don’t use common sense and just add anything the computer suggests or others have. The good thing though it led me to your photography tricks. I am wondering if you have sent them to FAG to possibly include in their FAQ’s? It is amazing the difference in pictures done your way. BTW, Lela and I are 2nd cousins 4x’s removed through Jesse Cleveland Coffee. Since we both have the Bleckley connection we must also be distant cousins, so hi cuz! Thanks for your tips. Sorry, one more comment. Don’t know if you had this. Didn’t see it as I was scanning your Earls page…well done btw. 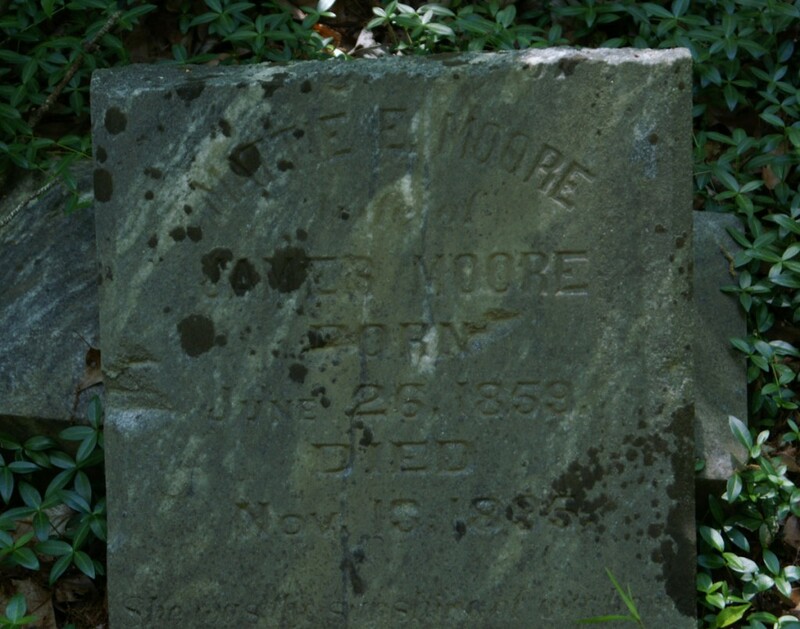 Carrie (Emily Caroline Bleckley) is buried in Bleckley Cemetery as well. Her memorial is FAG 79247708. Next time you are in Clayton, you need to put your voodoo to work on the Earls headstones!!! Some have an S at the end and some don’t. I have always had an S though the marriage license for Lela doesn’t have one for JF. Thank you for your comments, Kathy. I haven’t been in Clayton since coming up with the off-camera flash technique, so I am looking forward to visiting some cemeteries there. This has been a great technique. I learned just a month or so ago about how to really control my dSLR Nikon. After reading this I picked up a cheaper flash and slave drives. I’ve gotten some really nice photos and was really surprised at how well I could read some of the stones when I thought nothing was there. Unfortunately, I have found some problems using the flash, if the sun is from behind at a low angle it doesn’t always work that great. I’ve taken to using a golf umbrella and holding it behind me. It’s kind of a pain to do, but does get the job done. Bryan, I really appreciate your comment. If you, or anybody, has success with this, I’d love to see the photos. I encourage everyone to take before and after photos (without flash, and with off-camera flash), so you’ll be able to show people how well this works. And, yes, I too, have sometimes been able to read stones in the photo when I could not read them in person. The other defense against bright sun is a fast shutter speed. If your Nikon is a D40, you should be able to use 1/500. I’d be interested in hearing from any D40 owners who have tried this. 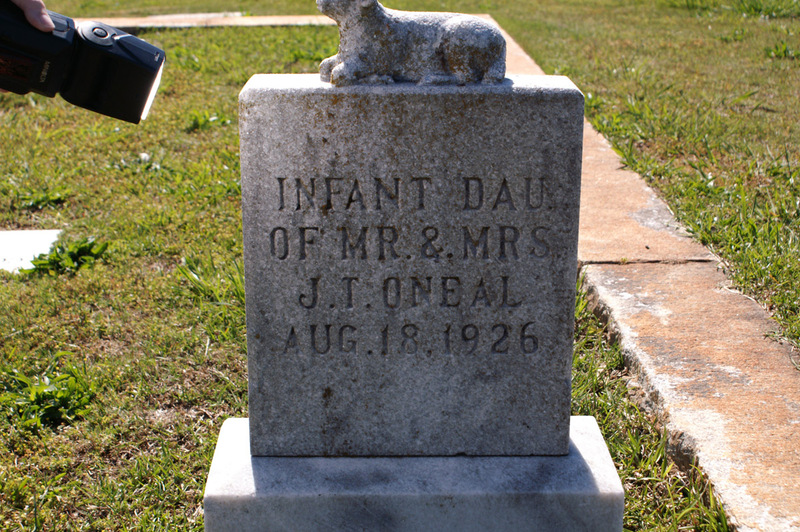 I have been posting my photos to Find a Grave, where I originally saw how to do this. I normally take out my Nikon D40X, and it will do a shutter speed of 1/500, but for the flash I bought it comes out too dark at that speed. I wanted to test out with a $50 flash instead of sinking more in to one. Depending on the lighting I’ve stayed with the 1/200 and f-stops ranging from 5.6-22, normally I think I have good results being around f-10 or 11. I haven’t taken too many photos with and without the flash, though I might start. Here is a full that I took using the flash. And this is one I took the other day in the daylight. I do end up taking a lot of photos, but since it’s digital they’re free so what does it matter? I play around with the f-stop a lot just to see what it can do. I wrote a new post to show you what the Nikon D40X does. You can see at 1/250 near the bottom it’s too fast for this flash. 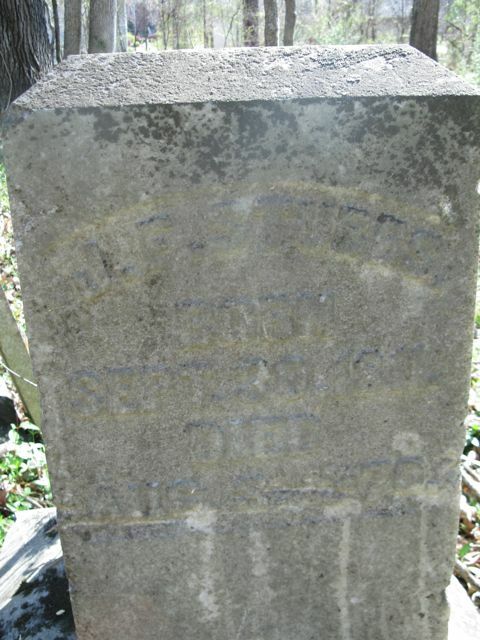 Bryan, Your photos look great and they are of some historic old tombstones. I completely agree about experimenting with lots of photos. In your photos, the background is dark, which means you have reduced the influence of the sun/daylight sufficiently, at least for those particular photos. I have been thinking about the relative brightness of flash units and the sun. With a flash located 1 meter from the subject, at ISO 100, and 1/200, you need a flash guide number of about 22 m (72 ft) or higher in order to be two stops brighter than the sun. Anything much less than that, and you won’t be able to overpower the sun. Apparently, the Nikon D40X has a regular mechanical shutter, unlike the older D40, which has an electronic shutter. So, the D40X doesn’t have the 1/500 flash sync speed of the D40, but has a flash sync speed of 1/200, like most other cameras.